Dublin Bus operates an extensive network of 110 radial, cross-city and peripheral routes and 18 night routes in the city of Dublin and the Greater Dublin Area. 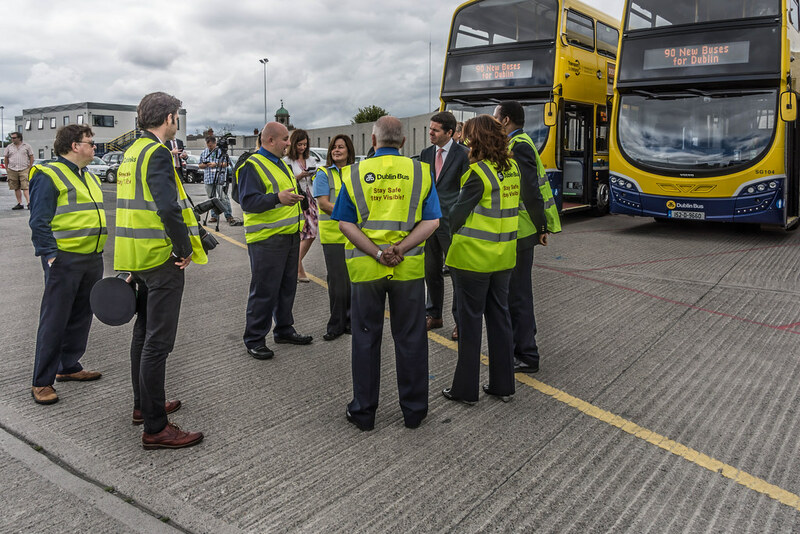 The main radial routes are focused upon Dublin's sixteen Quality Bus Corridors which provide buses with daytime access to the city centre. Express buses (branded "Xpresso") operate on similar routes, but have a limited number of stops and a higher minimum fare. These services run Monday to Friday at peak times and do not operate on public holidays. Dublin Bus operates a "Nitelink" service of approximately 18 routes overnight which up until January 2009 ran between Monday and Saturday, with the greatest service frequency being on Friday and Saturday nights. Due to cutbacks necessitated by the economic downturn in Ireland, the midweek schedule was scrapped causing consternation with commuters.Special (higher) fares apply on Nitelink buses. In April 2010, Dublin Bus announced it would be simplifying many of its routes around the city in order to create better efficiency. This programme is called Network Direct. However, as part of these measures, the company also announced that 150 jobs would be lost. In 2014, the company carried 119 million passengers, which is a reduction of 18% compared to 2005 numbers (first full year of the Luas, which has seen an increase of 33.6% passengers in the same period).